Camping trailer set. 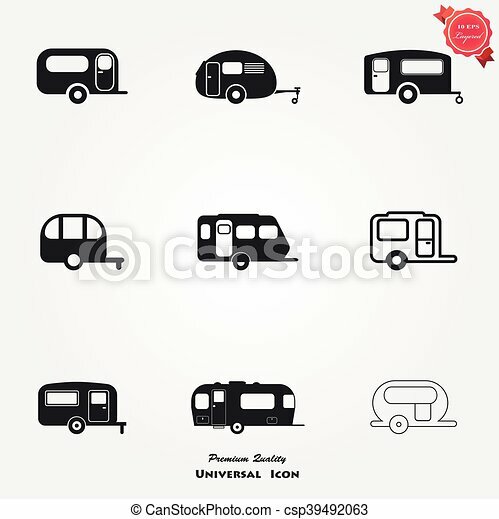 Recreational vehicles for family tourism and vacation black icons set isolated vector illustration. Various truck silhouettes. 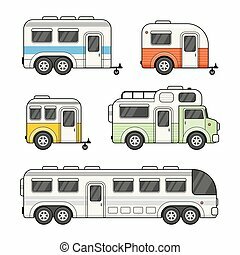 Commercial van icons set. See also commercial vans in color. Truck vector icons set. Black illustration isolated for graphic and web design.